Ernest A. ("Doc") Kiessling, Pilot, 418th, of heart attack, 4 July 1994. The Houston Post reported that the retired Colonel "was an active community member" of Friendswood, Texas, where his wife of forty-four years, Frankie, lives. He was the Director of the Clearwood Improvement District for eight years, a director of the Houston Model Cities program, and a lecturer in the School of Business and Industrial Engineering at the University of Houston. On 23 September, his ashes were interred at Arlington National Cemetery. "Doc and his wife were active in the Association, attending many of the reunions as well as the mini-reunions in the Houston area. Mary Frances Kiessling did not want the decades she spent researching genealogy and tracing her family's history to the Mayflower and the Plymouth colony to be lost. So Kiessling, a Friendswood resident and longtime member of both the Daughters of the American Revolution and Colonial Dames XVII Century, prepared detailed books for each of her four children before her death at the age of 88. "When your ancestors go back to the formation of this country, you want to keep that history for your children," said Annie Rogers, chaplain of the Texas Blue Bonnet Trails' chapter of the Colonial Dames. A memorial was held Thursday for Kiessling at the Friendswood United Methodist Church. Her ashes will be buried next to her late husband, U.S. Air Force Colonel Ernest A. Kiessling, at Arlington National Cemetery. Col. Kiessling, a World War II pilot who was involved in research and development of the Air Force's missile program, moved his family to the Houston area in 1969 after retiring. He served two years as director of Houston's Housing and Urban Development's model cities program. Mary Kiessling's initial interest in genealogy was sparked by curiosity about what drew her family to the country that her husband fought so hard to protect. During more than 25 years of research, she spent hours poring over cemetery records, genealogy data and census tracts from all parts of the country, said Kiessling's daughter, Sharon Ray, of Hilton Head, South Carolina. Kiessling eventually traced her family back to Francis Cooke, one of the Pilgrims who came to the Plymouth colony on the Mayflower in 1620, and John Washburn, who came to Plymouth later in 1632. Kiessling, who went by the nickname "Frankie," traveled to Evesham, England, to do research on the community where Washburn had lived and served as a church warden and tailor. "She located Washburn's church, St. Peter's. But she said it was badly damaged," Ray said. After settling in Plymouth, Washburn, along with other settlers decided to expand the colony inland, Kiessling discovered. They purchased a section of land from the Wampanoag Indians. "This land later became Bridgewater," Ray said. "The price was only seven coats, nine hatchets, 20 knives, eight hoes, four moose skins and some cotton cloth." Ray said her mother often recounted tales of what she had learned of the family's history, such as how one relative made a sword for the Marquis de Lafayette, who served in the American Revolutionary War as a general. Later, Kiessling's ancestors migrated to Oklahoma, where they participated in yet another important historical moment, the 1889 Land Rush. Kiessling's maternal grandfather, Sullivan Washburn, was among the estimated 50,000 people who raced to claim 160-acre homesteads that were up for grabs, Ray said. Kiessling, whose father died when she was 5, was raised mostly by her mother, Gordia Washburn Pope, who lived up to her family name by breaking some new ground herself, Ray said. "She worked as a secretary for an oil brokerage firm. But before long, she learned enough that she thought she could do it herself. So she became one of the first female oil brokers in the state," Ray said. As a result, the family still earns money from oil and mineral rights that she obtained in 14 Oklahoma counties and in South Dakota. Besides her work in genealogy, Kiessling served as a volunteer for the Red Cross and children's programs with the Clear Creek and Houston school districts. 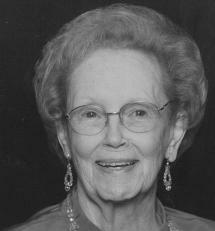 She was a 62-year member of the international sorority Beta Sigma Phi. "She will be remembered as a very dignified and gracious woman. A great role model," said Rogers, the Colonial Dames chaplain, recalling how Kiessling served as the association's scholarship chairwoman. Kiessling, who died Sept. 8, is survived by her daughter, Ray, and three sons — Paul and Russell Kiessling of Friendswood and Glen Kiessling of Humble.